Two irrational numbers (approximately 0.618 and 1.618), are often referred to as the “golden ratio.” These two numbers possess many intriguing properties. 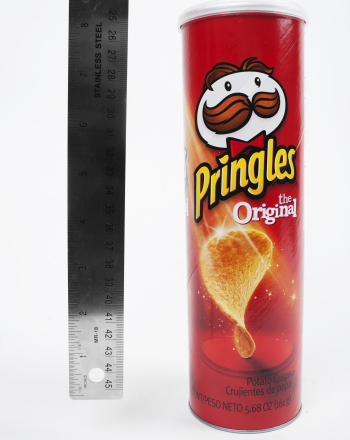 For example, shapes that adhere to the golden ratio have long been considered to be aesthetically pleasing. This experiment will investigate whether the golden ratio can be used to predict peoples’ assessment of beauty in others. Do test subjects consider celebrities with facial measurements that come closest to the golden ratio to be the most attractive? Perform an online search for images of famous people. Include celebrities that you find attractive and celebrities that you find unattractive. 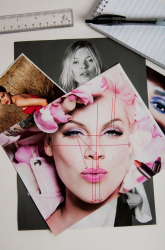 Enlarge the images so that you have a clear view of the front of the celebrity’s face, and print your images. 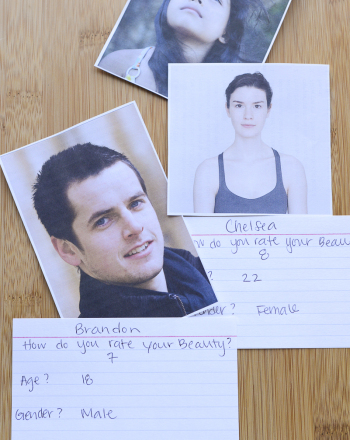 Create a survey that evaluates the attractiveness of each celebrity image on a scale of 1 to 10. Show 20+ test subjects your images and ask them to take the survey. Evaluate your results. Based on your calculations, which celebrity images came closest to being “golden”? Did these celebrities receive the highest rankings for attractiveness in the surveys taken by your test subjects? 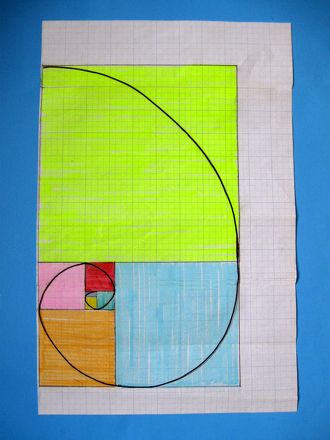 Help your child learn one of the most beautiful mathematical expressions in nature as she uses the Fibonacci sequence to create a "spiral of beauty." 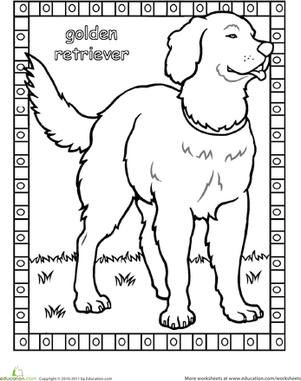 Colour the golden retriever coloring page and learn about golden retrievers! The Golden Lion Monkey, also called the Golden Lion Tamarin or the Golden Marmoset, is a native of the rainforest. The Golden Fish" is a tale that's told in many cultures. No matter where you hear it, the point is the same: don't be greedy! A Beauty and the Beast coloring sheet for preschoolers and kindergarteners. First graders will gain exposure to the classic text by Charles Perrault, "The Sleeping Beauty", with this worksheet. 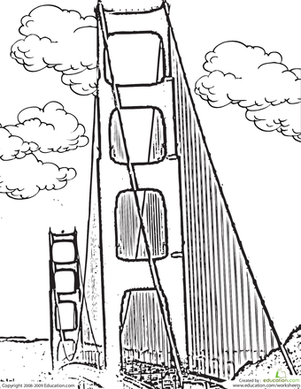 This coloring page features the Golden Gate Bridge stretching across the mouth of the San Francisco Bay. Introduce her early to classic tales like "Black Beauty" with storybook coloring pages! This crossword puzzle makes a perfect accompaniment to a "Black Beauty" reading unit. Inspire your reluctant reader with this comprehension page, featuring a passage from a classic novel, Black Beauty.